hearken ere you harm me. your thirst as you journey on. the bed on which you lie and the timber that builds your boat. the wood of your cradle and the shell of your coffin. I am the gift of God and the friend of man. Ye who passes by, listen to my prayer … HARM ME NOT. 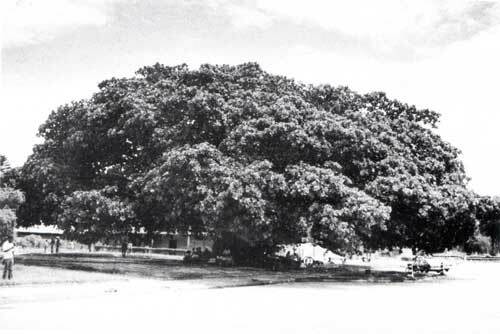 In the copper mining town of Broken Hill (now known as Kabwe) to view the Big Tree, an enormous fig tree situated in the centre of the town. In days gone by, this was the meeting place of the early settlers. In the shade of this massive and sprawling tree, donkeys and carrier caravans assembled for the long trips north. Broken Hill is home to the world famous Middle Stone Age skull of ‘Broken Hill Man’ (homo rhodesiensis). 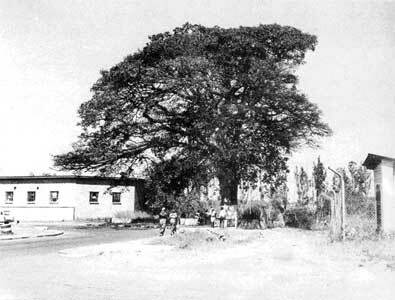 In days gone by, under the shade of this old mupapa tree that still stands in Makoli Avenue, Ndola, the last of the Swahili traders celebrated their victories and shared their spoils. These Swahili traders warred upon and enslaved the people of the surrounding country. Many were sold as slaves and many were kept to fight for them. We visited ‘The Big Tree’ a colossal grand old baobab that is thousands of years old. 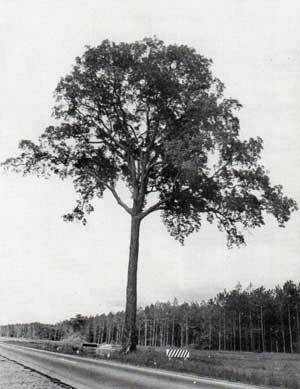 The Bushman claim that in a fit of anger, God hurled these giant trees from the sky and they landed upside down, their roots in the air. 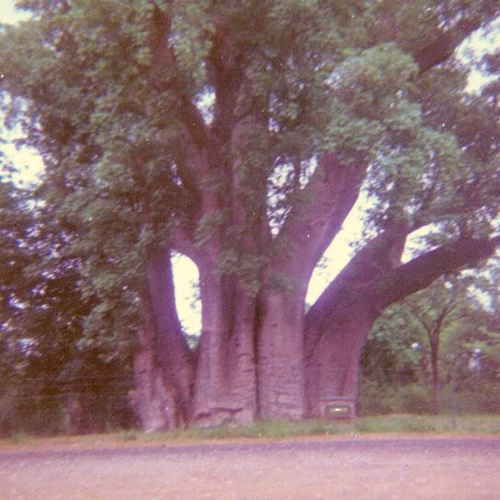 The Ba Tonga tribes people believe that these majestic trees have been here since the beginning of time and that their ancestral spirits inhabit the white flowers of the baobab. They believe that lions will devour anyone who picks these flowers.